Adds "Close Documents From Project"/"Close Documents From Other Projects" action to the editor tab, to the context menu of a project and to the main menu "File". 2014-02-16 09:53:27 markiewb Old version of binary has verification and version is still verifable - removing it now. User will have to apply again. 2014-02-16 09:51:10 markiewb Old version of binary has verification and version is still verifable - removing it now. User will have to apply again. 2013-09-09 17:15:52 markiewb Old version of binary has verification and version is still verifable - removing it now. User will have to apply again. 2013-09-09 17:11:11 markiewb Old version of binary has verification and version is still verifable - removing it now. User will have to apply again. 2013-08-06 02:49:59 markiewb Old version of binary has verification and version is still verifable - removing it now. User will have to apply again. 2013-08-06 02:49:13 markiewb Old version of binary has verification and version is still verifable - removing it now. User will have to apply again. 2013-08-03 04:56:57 markiewb Old version of binary has verification and version is still verifable - removing it now. User will have to apply again. 2013-08-03 04:56:35 markiewb Old version of binary has verification and version is still verifable - removing it now. User will have to apply again. 2013-02-12 15:52:38 markiewb Old version of binary has verification and version is still verifable - removing it now. User will have to apply again. 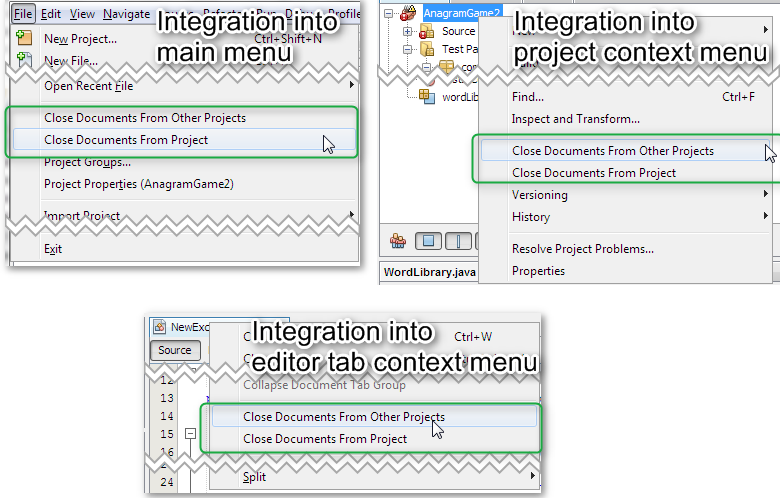 Add actions "Close All Documents From This Project"/"Close All Documents From Other Projects"
Compatible to >=NB8.0. Apache 2.0 license. @ent38: Done. I also requested the verification again. could you try to upload the NB7.3 module again ? The download link seems broken.